Hey, young bloods! 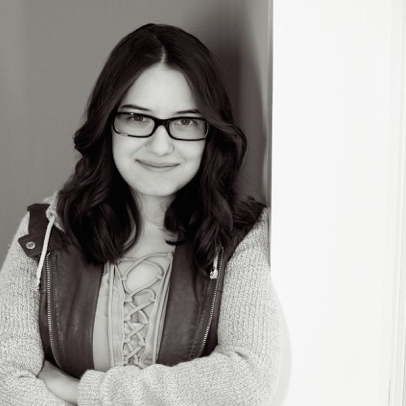 With Camp NaNo underway, I've been working a lot on characterization in the past month - i.e., getting to know the characters in my WIP and making sure they're well-rounded and consistent. I personally adore characters, and they're my favorite part of almost any story. However, even if you don't love them as much as I do, strong characters are very important in most any book whichever way you slice it. With that in mind, here are eight writing exercises I've been using this month to get to know and define my main characters. I hope some of them can help you! 1. Write a list of 20 facts the reader will never know about them. This will slowly seep into your writing, giving your character the vibe of having a life behind the pages. 2. Write them an obituary. This is an interesting way to see how other characters would view them, and it also helps snapshot how their defining characteristics shape their lives. 3. Have them take the Myers-Briggs personality test. Make sure you don't work exclusively off this - many people are combinations of different personality types, and your characters should be no different. But if you have no idea where to start with a particularly stubborn character, this is a great place to begin and definitely gets you thinking in the right direction. 4. Have them write a letter to you, another character, or a historical figure. How does your character react to different types of people and their actions? This is a great way to find out - but no cheating! Don't just do a letter they write during the story anyway. 5. Write two short paragraphs describing them - once to be repulsed by them, once to love them. This is also very helpful for getting to the bottom of how other characters might view them and react to their actions. Plus, it makes sure every character has a good balance of flaws and good traits. 6. Get to the bottom of their motive. One of my characters, Sabina (formerly Ydda) Del'Takshiva, grew up very poor, and her family was the only thing that kept her childhood together. As she matured into adulthood, family continued to be very important to her because of its early effects on her, so whenever she sees someone who looks like they need a guiding or mothering figure she'll step in. What's one of your character's defining traits, and how will it subtly affect their actions and reactions? 7. Find their aesthetic. This is a great one if, like me, you're addicted to Pinterest. xD What calms them down; what atmosphere do they like? Are they a coffee shop on a rainy day kind of person, or watching sunsets from the roof of an abandoned building? Collect some pictures that remind you of your character, and notice any themes that develop. 8. Write a journal entry (or three). Pick an average day in your character's life and have them write a journal entry about it. Although this can be a slightly more time-consuming one (depending how many you do and how much time you put into them), this helps you pull all your character's different traits together to create a cohesive person. THESE TIPS ARE SO AWESOME BRB USING THEM ALL! I always take MBTI tests for my characters XD I think my family thinks that I'm nuts, but they're super helpful! AHH THANK YOU SO MUCH. I will definitely be putting this into play! Thanks for the tips! IKR. Even the evil ones are awesome. I've been thinking about giving some of my characters a Myers Briggs test. Maybe I should do that soon. Where do you get these ideas from? Are they all yours. *cries because I only thought about one for myself, well technically). I'm glad you liked it! Some of these are ones I've come up with, but most are ones I've collected over the years from various teachers + fellow writers. What amazing ways to get into your characters's heads! I myself put them through a gruelling 'Character Resumé' in which I answer A LOT of questions about them. Takes a while, but it's worth it. I really like that aesthetic idea. I've recently started making character collages out of images and the like, so that would be really helpful. These are all such fantastic ways to delve into your characters' minds! 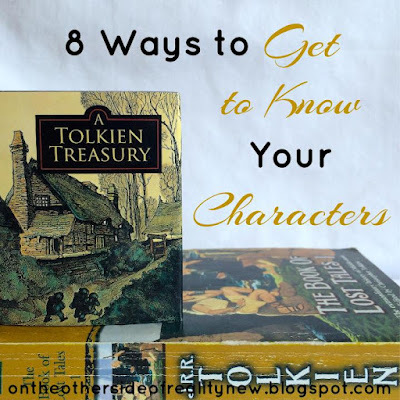 I love character backstories, and some really great ones could be built from your tips here!